Researchers from Duke University and UNC-Chapel Hill are testing the ability of drones to detect sharks in coastal waterways. 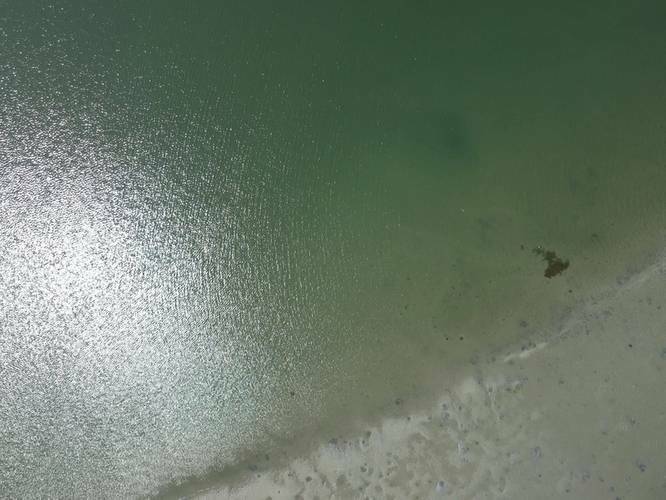 In a collaborative study funded by North Carolina Aquariums, researchers are examining whether drones can effectively pinpoint bonnethead sharks in different habitats and water conditions. “We’re really interested in the role that these kind of predators take on in coastal systems,” said Dave Johnston, director of the Unoccupied Systems Facility at Duke’s Marine Lab in Beaufort, North Carolina. “We’re also really interested in just knowing when there might be sharks there,” said Johnston, an assistant professor of the practice of marine conservation ecology. 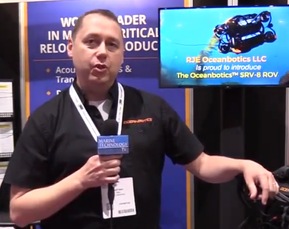 “This is one of the first studies aimed at understanding how well we’re able to detect sharks and that’s a key component for any kind of operational use. Over the past year, researchers have conducted experiments using decoy sharks and found that the drones have been able to reliably detect the decoys. “Our surveys so far are telling us if the sharks are there and they’re less than a meter deep, or a little past a meter deep, then we should be able to detect them even when the water is murky,” Johnston said. Researchers plan to expand their detection surveys into other types of habitats to see how well the drones perform. Ultimately they’d like to set up a framework that would allow other researchers to use drones to detect any type of shark in any coastal area. Johnston said the drone-detection method could eventually help alert swimmers to the presence of a shark. “Here’s an opportunity for us to use some pretty powerful small computers on board a very small aircraft to take us into a real-time detection situation. And that’s where we’d like to be a few years down the road.” he said. 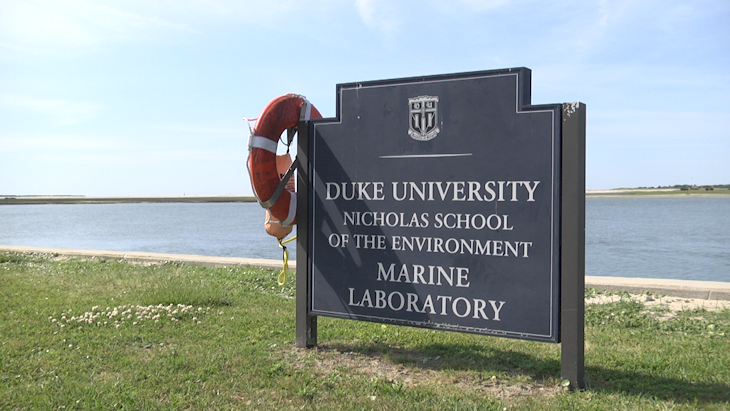 In addition to their work on sharks, researchers at the Unoccupied Systems Facility at the Duke Marine Lab are also using drones to track and study sea turtles, seals and other marine species; analyze marine debris on remote beaches and islands worldwide; and map estuaries along the U.S. East Coast. The facility was launched in 2015 and is one of only a handful of facilities nationwide – and one of only two in North Carolina – that has earned an exemption from the Federal Aviation Authority to use drones for research. 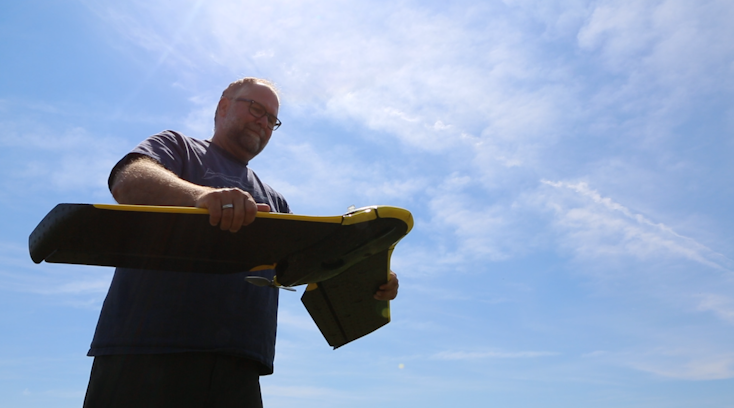 Beginning this summer, the facility is offering courses to train students and working professionals on how to use drones in coastal research and conservation. It also is developing drone-centered educational outreach programs for local high school students in eastern North Carolina.